The World Cup is long over - but international football is about to return. The newly-founded UEFA Nations League starts on Thursday, with 55 European nations competing in four leagues and all Home Nations games shown live on Sky Sports. There will be a few blockbuster games to start the tournament, as England take on Spain and World Cup winners France face previous champions Germany. The UEFA Nations League is a new international tournament. 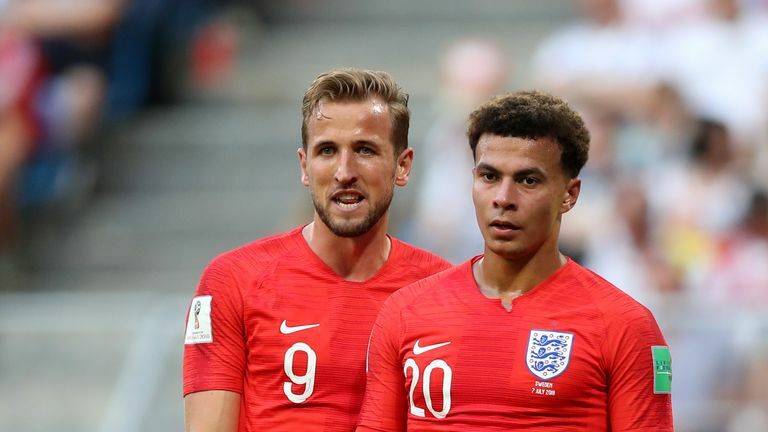 England will go up against other European nations in a league format for the chance to compete in the Final Four summer showpiece in 2019, where the winner will be crowned the Nations League champion. In a bid to improve the quality of international football and reduce the number of meaningless friendlies, UEFA - which has been planning the competition since 2011 - has devised a new format to add excitement and competition to country clashes. There will be 55 teams involved, split into four leagues (A, B, C and D) based on their UEFA ranking at the end of the 2018 World Cup Qualifiers. Within each league, four teams will be promoted at the end of the cycle, while four teams will be relegated. They will then play at their new level in the next competition, which starts in 2020. How have the groups been divided? What games should we look forward to? The tournament kicks off in style as the winners of the last two World Cups meet on Thursday, September 6. Germany host France in Munich, while Wales also face Republic of Ireland on the opening day. Italy are in action against Poland on Friday, before England play Spain on Saturday when Northern Ireland take on Bosnia and Herzegovina. How will Spain recover from their shock World Cup exit against Russia? Cristiano Ronaldo's Portugal face Italy on Monday, as Scotland start their campaign against Albania. You will be able to follow all the matches with Sky Sports. The Final Four is the climax to the Nations League. It will take place in June 2019 and pits the group winners from League A against each other. There will be a one-game semi-final stage, followed by the final. The winner will be named as Nations League champion. The Final Four tournament will occur in odd years, meaning that in years when there isn't a World Cup or European Championships, there will be a Nations League winner. How will the Nations League affect European Qualifiers? The top two teams from the 10 groups qualify automatically for the Euros, while four more places at the finals will be awarded to play-off winners. Sixteen teams will compete in the play-offs. Each Nations League league gets four play-off spots. If the winner of a group has already qualified for the Euros, the next best team which has not qualified goes into the play-offs. "The UEFA Nations League creates more meaningful and competitive matches for teams and a dedicated calendar and structure for national team football," say UEFA, who believe the new format addresses concerns national associations raised about friendlies no longer providing adequate competition. Is this the end of friendlies? Not completely. There will still be some space in the calendar for friendlies - particularly for the top teams, who are in groups of three within League A and B and the top group in League C.
Will the new format increase players' workload? In fact, UEFA claims the new product will actually reduce strain on players. That's because there is likely to be less travel and players will be playing at their own level. Players will also go back to their clubs earlier than is currently the case. You will be able to watch all of the Home Nations in the UEFA Nations League on Sky Sports, through September, October and November 2018. You'll also be able to watch the Final Four finale in June 2019 on Sky Sports. In fact, there will be up to 900 live international matches on Sky Sports between 2018 and 2022, with the new rights agreement also including qualifiers for Euro 2020 and World Cup 2022.